There is a Ko Phi Phi guest house everywhere you look in Phi Phi Don Village. 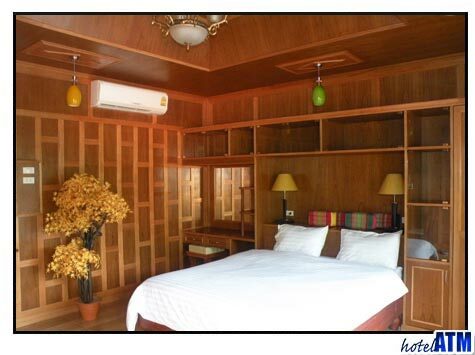 Ko Phi Phi guest houses have as many rooms as the traditional hotel and resort accommodation. This means you have a great amount to choose from. Guest houses are the way to go if you are on a budget, want to be central to the heart of Phi Phi Don Village and near the pier for all the classic tours. Ko Phi Phi guest houses are budget accommodation that vary from the cheap and cheerful that suite backpackers travellers through to the smart rooms in a central location like The White Guesthouse and Ivory Phi Phi. To get a feel for what is available you need to read the reviews and work out where each guest house is compared to the pier, the centre of the village and Loh Dalum beach. The other important point about Ko Phi Phi guest houses is that they cater a lot to the traveller or backpacker who arrives, walks around and then chooses their place to stay. This 'walk in' tourist makes it easy for the guest houses to put the prices up when the island is full. The island is full for over 200 days a year so this means it happens very often and even in low season (May till October). Prices will go up and down by 40-50% as the island gets busy. This means a simple room will go for the price you would pay for an entry level room in a resort. This leads to people checking in on day one and then checking out on day two to move into something of better value. This far from perfect scenario can be avoided if you book ahead. Divers need a Ko Phi Phi guest house near to either the pier in the main village and or near their Dive schools on Phi Phi Island. What you need to take into consideration is walking around Phi Phi is hot work (there are no cars) and if you are doing a PADI dive course you will need to walk back and forth from the pier area where they do their confined water. When you are in a wet suite this gets doubly warm. Look at the Phi Phi Guest house Marine House, JJ Residence, Phi Phi The Pier Guest House and Ivory Phi Phi for Hippo Divers, Barracuda Diving, Moskito Diving, Scool Diving and Visa Diving. Ko Phi Phi guest house that get a lot of attention and good reviews are Parichart House now with a changed name of Pongpan House Phi Phi, JJ Residence Phi Phi Guest house Marine House, and the very economic Harmony House. Are there any Ko Phi Phi guest house deals you might ask? Well low season prices must be considered great value for those on the budget as the prices are often 30-50% cheaper than in high season. The months of May and 20 July till 20th August has excellent weather in low season so these dates should be remembered. It is mainly the 4 and 5 star resorts that give fixed night saving deals in low season so unless anything changes soon (this is written 2012) this is unlikely to be fruitful for those hunting a bargain. However and finally, the hotelATM.com website does do a 2 week long stay offer for Stay 15 Pay 14. This deal works for all resorts hotels, guesthouses and hostel in Thailand. As phi-phi.com is covered in this umbrella deal this is a good discount.